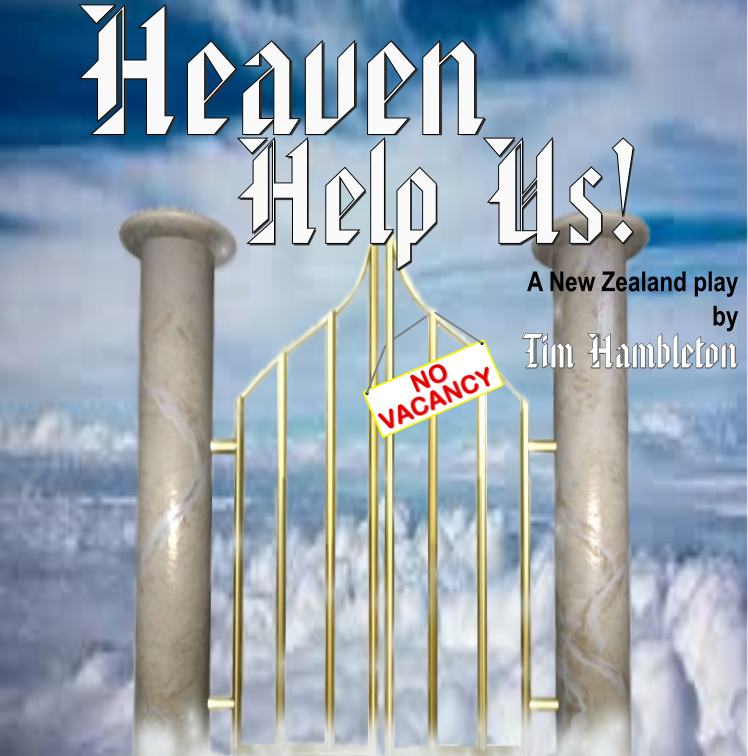 Heaven Help Us Auditions - Kapiti Playhouse Inc.
Our final production for 2016 is Heaven Help Us, directed by Mark Harris. 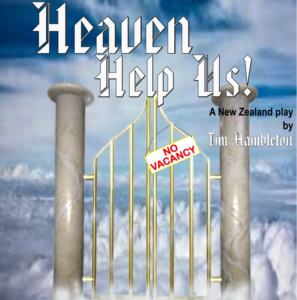 Written by Dunedin’s Tim Hambleton, this is a gentle comedy, set in Heaven’s waiting room, that pokes fun at the afterlife. There’s trouble in Paradise. Heaven may be eternal, but it’s not infinite. In fact, it’s as full as a very full thing. Potential entrants have to hang around in the Waiting Room until a place opens up when someone breaks the rules and gets deported to The Other Place. With St Peter off his game, the Waiting Room is being managed by Angela, whose recent choices have been a little less than inspired, and Simone, God’s ambitious CEO, wants her head. The latest batch appear to be a real disaster but Angela has a plan to redeem herself. Heaven Help Us will be a fun-filled production to be involved with. Auditions will be held at 2pm on Sunday 25 September. Production dates are 23 November – 3 December. Perusal scripts are available from PaperPlus in Coastlands. Aged 40s or 50s. Filling in for St Peter as Heaven’s gatekeeper. Doesn’t suffer fools. Blunt. Matter-of-fact but likeable. Sensible. Dry sense of humour when she uses it. Dressed in white. A new arrival to Heaven. Aged 40s or 50s. Timid and nervous to begin with but quickly opens up, becomes more extrovert and talks a lot. Former librarian. Wears blue surgical smock with bright satin boxer shorts underneath. Extremely religious. Geeky. Snooty accent. God’s Chief Executive Officer. Late 30s or early 40s. Dictatorial. A bit overweight. Snobbish. Cold. Speaks clearly and precisely. Wears white. Fancies Trevor. A new arrival to Heaven. Aged 40s or 50s. Loud. Full of life. Uncouth but not totally stupid. Dressed in old jeans and a farmer’s shirt. No camouflage gear or gun. A man’s man. Not religious. Extremely confident. Dislikes Natasha. A new arrival to Heaven. Aged 17. Well educated. Wealthy parents, rebelled. Confident. Selfish. Real attitude problem but mellows. Nose stud. Tattoo. Jeans, T-Shirt, hair messed up with bright colourful highlights. Annoys Trevor. A new arrival to Heaven. In her 70s. Appears kind, genteel at first but has sinister side. Granny type. Wears a dressing gown, and large granny knickers underneath a skirt. Has wrinkled skin-coloured tights. Hair standing on end – has been electrocuted. Eccentric. Says things incorrectly. Has a handbag with knitting in it.